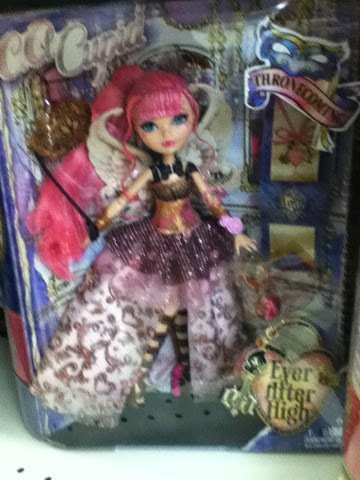 I have to admit that I'm really drawn to the Ever After High dolls. It took awhile at first because the large, round heads took a little getting use to, but now I'm hooked. 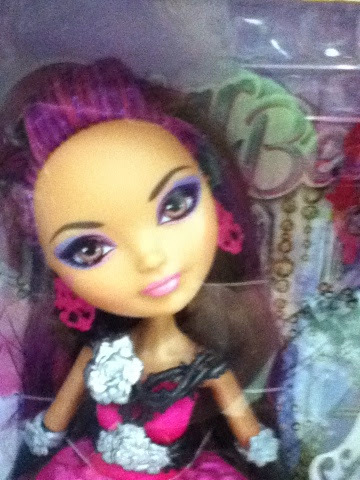 I finally saw the Thronecoming set with Briar Beauty in it, and she might be the prettiest version of this doll to date (I need a really close look first though). 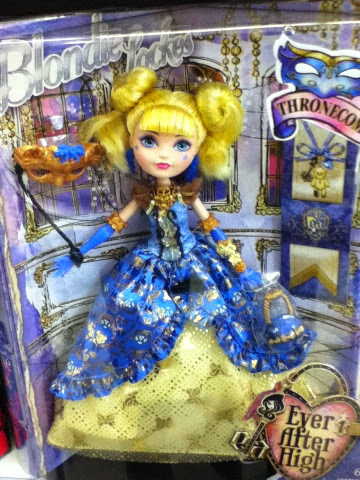 The Thronecoming line includes Blondie, Raven, Cupid, Apple and the Briar play set. 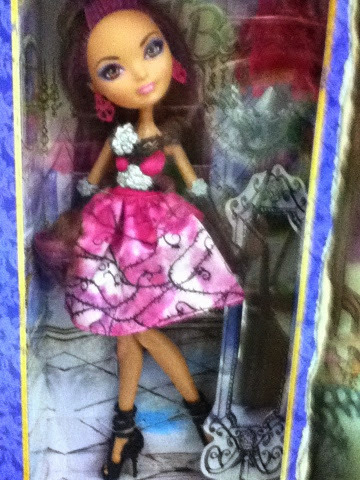 The play set folds into a book shape and Beiar fits into the spine of the book, the only downfall is that her dress is not as elaborate as the others in this line. Which Thronecoming doll is your favorite?